friend who had moved here. Since that time I have made a lot of photography friends and I return often. 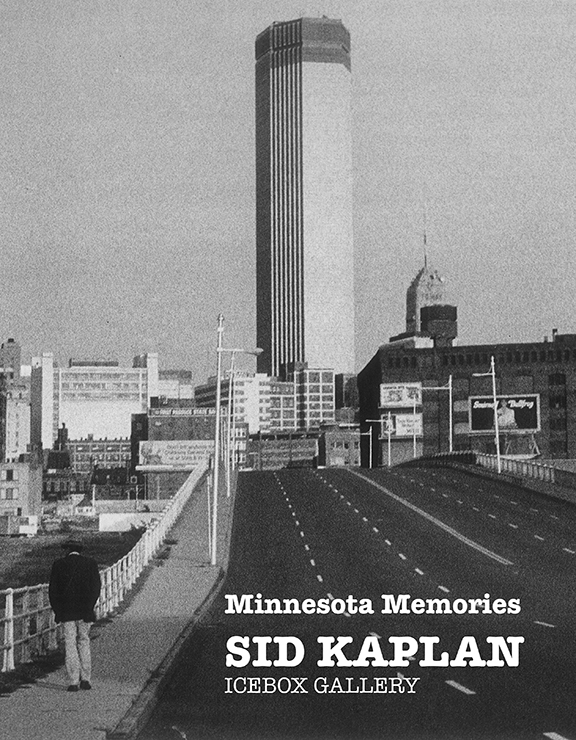 Kaplan has visited and photographed here in Minnesota on several occasions since his first trip in 1972. Kaplan found himself interested in photographing many of the huge grain elevators that he encountered on his visits, several of these images will be included in the exhibit. In another MN image Kaplan caught the excitement of the moment in a wonderful snap of Harmon Killebrew signing autographs in a crowd of fans. Sid’s images capture many moments in our changing landscape like the Minneapolis Skyline when the IDS building stood alone towering over the Foshay Tower. Another photograph shot from a skyway reveals a past incarnation of the Nicolet Mall with the Mary Tyler More sculpture. Another image shows the funeral for Hubert H. Humphrey at the State capital in St. Paul. Railroad tracks, bridges, people, fireworks and more all find their way to Sid’s silver gelatin prints. Kaplan sometimes calls his photographs ‘snaps’ a slang term from the forties. “If I never take another snap again I will still have more than I can print,” Sid says with a smile. The exhibit includes a variety of BW images along with some stereo pieces photographed in three dimensions. Kaplan refers to these as ‘stereopticon experiments’ because of the way they are made. Sid Kaplan was born in the South Bronx of New York City in 1938. At the age of ten, he saw a black and white print develop in a darkroom. The experience hypnotized him and he began his life-long career of photographing and printing. Kaplan loves the hunt and the search for meaning that only street photography allows, and he is equally enamored with what he calls “the magic:” of making a black and white print. In 1952, Sid Kaplan began his only formal education in photography at The School of Industrial Arts, a NYC vocational high school. At the same time he was going to meetings at the Village Camera Club, which served as a refuge for members of the recently defunct Photo League. His first showing of his photography was there. At one of the photography trade shows he met Weegee for the first time and through fate, they would be running into each other till he died in 1968. After graduation, Sid began his career working in the photography industry. 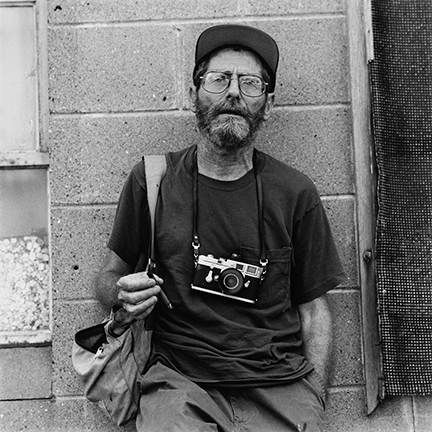 Kaplan paid his dues working at many dead end minimum wage photography jobs. After 6 years he had gained enough skill to be hired by Compo, a well-known custom lab in NYC. There he printed exhibition and book prints for several Magnum photographers; Philippe Halsman, Robert and Cornell Capa, and Weegee. It was there that Kaplan met Ralph Gibson, who later introduced him to photographer Robert Frank. Kaplan began printing for Robert Frank that day, and still continues that relationship. Let us know if you want to receive ICEBOX news letters!